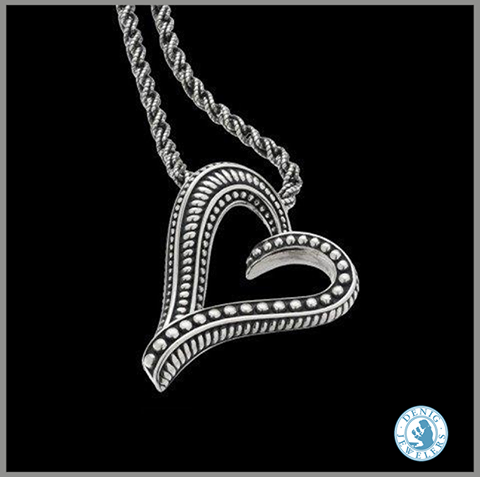 Valentine's Day is right around the corner, and Cupid has teamed up with the staff at Denig Jewelers to help customers find beautiful jewelry for their sweethearts. Boasting an impressive collection of custom, designer and fashion jewelry, Denig Jewelers is sweetening the deal this Valentine's Day by offering a complimentary box of Godiva or Anthony Thomas chocolates for any purchase over $100—now through February 14. With nearly 70 years of experience, the Denig family understands the time and investment involved in choosing custom jewelry and has worked hard to establish a reputation built on quality and trust. They're experts on engagement rings, and the store has helped countless couples say “I do” throughout the years. This year’s Valentine's Day is no exception. “We’ve been working with customers for weeks now, designing the perfect ring for their Valentine's engagement,” said Pam Maruskin, a sales associate with Denig Jewelers for more than 16 years. “We believe in going above and beyond for our clients, and we provide exceptional quality, with no hidden fees." In fact, when you purchase an engagement ring from Denig, they’ll set your stone, size the ring and provide you with a written appraisal, at no extra charge. Adding to their impressive inventory of engagement rings and wedding bands, the store also features a large selection of designer jewelry, including pearls, colored stones and watches. The Denig family is proud to carry several designer collections, such as Simon G., Tacori, Rembrandt and William Henry. They also work with clients to design custom pieces. While many jewelry stores rely on outsourcing for repairs, Denig Jewelers is committed to keeping repairs and custom jewelry creation in-house. As one of only 800 jewelry retailers in the United States and Canada with a certified gemologist on staff, Denig Jewelers has established itself as an expert in its field. Customers can buy at Denig with confidence, knowing they will receive a high-quality piece at a fair price. Denig Jewelers is located at 677 High Street. Stop in today or browse their beautiful jewelry collections on their website or Facebook page!